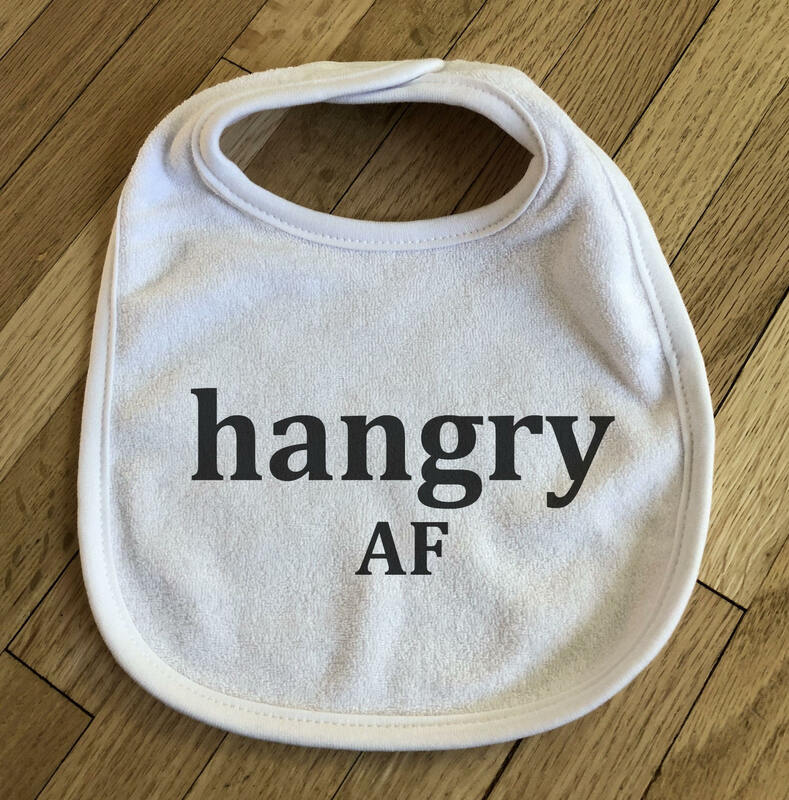 All parents know that when your baby is Hungry, they are Angry As F*ck. Of course this is intended for the little ones in your life, you know, to catch pureed things. But if you get one for yourself to keep the stains off of your favorite shirt, we won’t judge you. Made from High Quality soft, absorbent Terry Cloth, this Bib is perfect during feeding time or as drool bibs! •Attach with Hook & Loop Velcro closure for an easy, pleasant alternative to snaps. •75% Cotton / 25% Polyester. 100% Awesome! Voted Best Baby Shower Gift by Cool Parents! !